Feb 17, 2012 · More about this programme: http://www.bbc.co.uk/grahamnortonshow Graham and guests look at some pictures of "Harry Potter" look a likes. 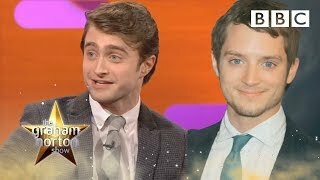 Daniel Radcliffe chats about being mistaken for Elijah Wood and Graham shows some pictures of "Harry Potter" look a likes. Harry Potter Look A Likes - The Graham Norton Show - Series 10 Episode 15 - BBC One (943.56M) ... The Graham Norton Show - Series 10 Episode 7 - BBC One. Harry Potter Look A Likes - The Graham Norton Show - Series 10 Episode 15 - BBC One (943.56M) ... The Graham Norton Show - Series 10 Episode 6 - BBC One.